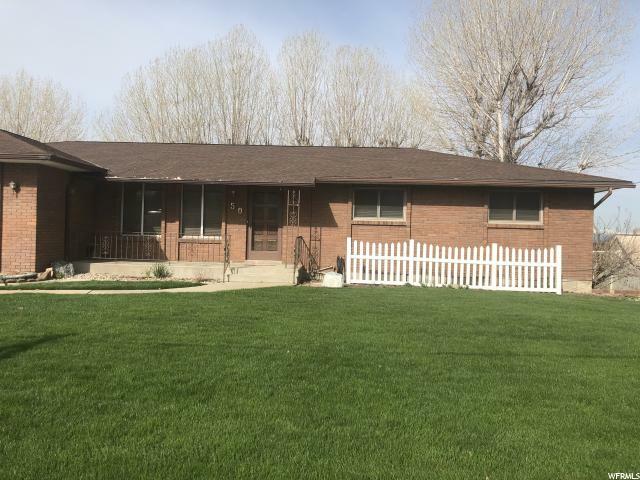 All Lindon homes currently listed for sale in Lindon as of 04/20/2019 are shown below. You can change the search criteria at any time by pressing the 'Change Search' button below. 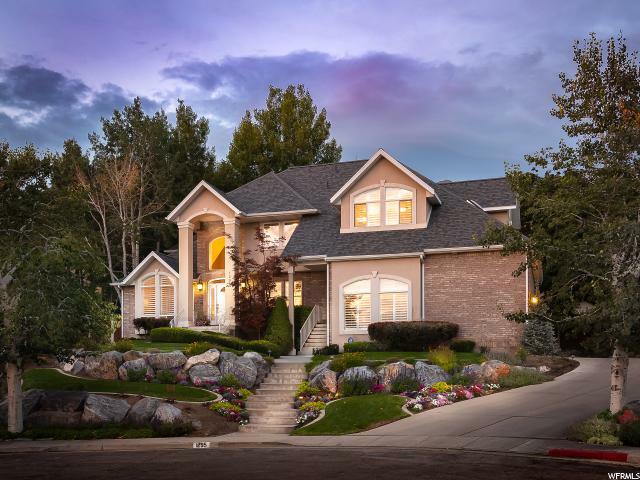 If you have any questions or you would like more information about any Lindon homes for sale or other Lindon real estate, please contact us and one of our knowledgeable Lindon REALTORS® would be pleased to assist you. "This beautiful modern home has an open floor plan, high ceilings, wide hardwood floors, and panoramic windows with window seats in every room. Includes hidden pantry, high-end cabinetry and appliances, quartz countertops, triple-pane windows, dimmable LED lights, blue-tooth toilet, electronic body showers, large mudroom, and a high-ceiling basement with custom-painted play area. Backyard has a large covered patio, swing set, fire pit, pergola, playset, hammocks, and a tennis/basketball court. Square footage figures are provided as a courtesy estimate only. Buyer is advised to obtain an independent measurement." "This immaculate two-story brick colonial home boasts a stunning fully landscaped one-acre private park, with 30 mature trees, rose garden and expansive lawn. Original house plans were featured in Colonial Homes magazine and pay tribute to a historic house in Anne Arundel County, Maryland. 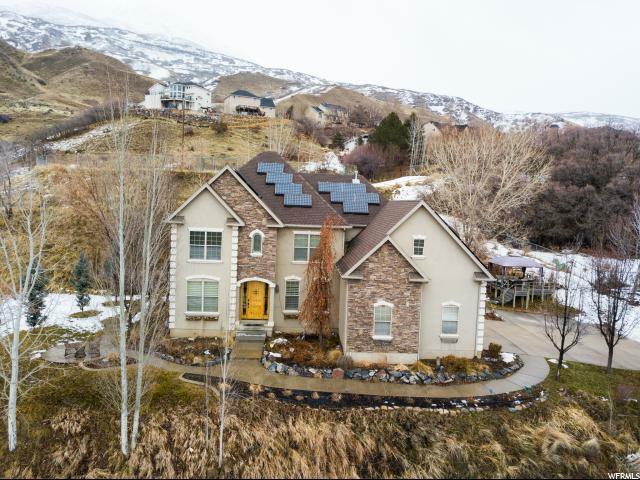 This custom home has been maintained and built with the greatest attention to detail and craftsmanship, including wood windows and 3 HVAC systems. The Gathering room is 22' x 36', with a fireplace and an entire wall of built-in bookcases. Also on the main floor are and family room and media room, which are equally sized, and have cozy wood-burning fireplaces and a formal dining room suitable for all dining occasions. The Master bed is spacious, yet cozy with its own private fireplace, vaulted ceiling, two walk-in closets, large jetted tub, standalone shower, dual vanity, etc... All four bedrooms upstairs are large and have their own en-suite bath. 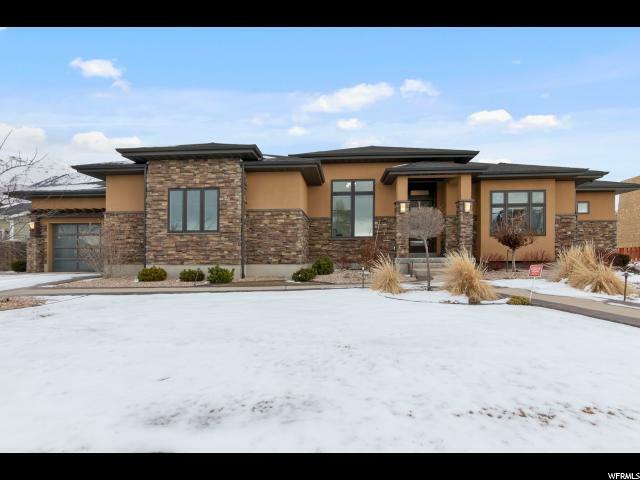 Finished walk-out basement with 4 bedrooms, large rec room area, plumbed for a second kitchen, one existing bathroom, photo darkroom (convertible to another bath), indoor spa room with included Hot Springs spa, and shop area with built-in cabinetry. Large re-done no-maintenance Trex deck and is accessible by laundry room, vaulted breakfast room and family room, ideal for hosting large gatherings. And lastly, don't miss the massive detached garage with garage bay door height and depth for a large RV plus all the toys." "PRICE REDUCED! 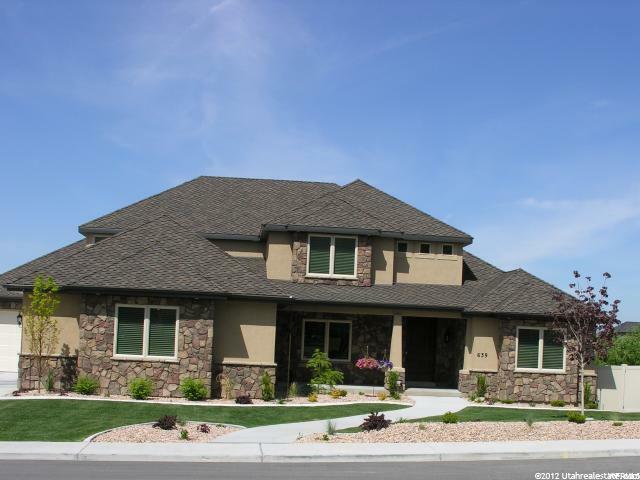 Beautiful custom home with a highly desirable floor plan. Remarkable kitchen with oversized island, quartz countertops, endless white cabinetry with multi-colored, customizable, undermount and in-cupboard LED lighting, stainless steel appliances and high-end flooring and backsplash tile. Master bedroom suite with coffered ceilings and large windows for lots of natural lighting and gorgeous mountain views. Private master bathroom with dual vanities, large walk-in shower with three water sources, separate spacious tub with smart feature and giant walk-in closet with bay window and access to two private balconies. Big theater room with stadium seating platform, wet bar and rope and sconce lighting. Additional upgrades include transom windows above doors and transitions, whole home audio system, basement entrance and much more! Square footage figures are provided as a courtesy estimate only and were obtained from county records. Buyer is advised to obtain an independent measurement." "This all brick property has it all both inside and out. The spacious back yard offers plenty to get excited about. Views, grass, swing-set, large patio & deck, and all the potential to become a great space for entertaining. Inside you'll appreciate all the love and care that the seller has put into this home since they had it built. Rather than me attempt to list all the great features of this fully finished 8,000 foot home, come see us and take a look for yourself. You'll fall in love!" 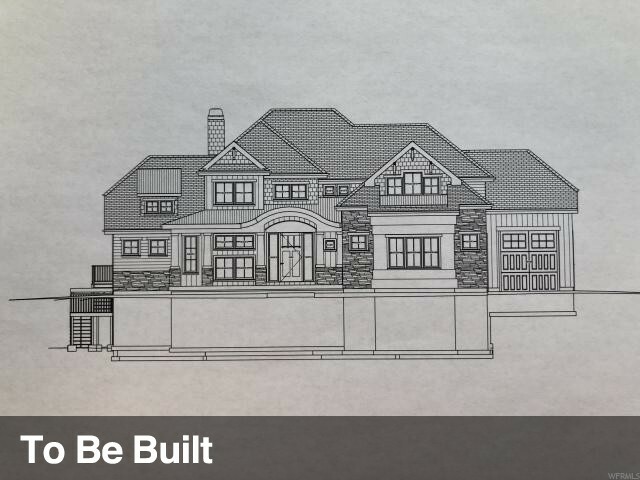 "Builders custom home! Professional landscaping! Large fully fenced back yard with mature trees. Gourmet kitchen. Incredible master suite including Fireplace. Large great room to gather the entire family or host parties. Most of the basement was recently finished including an exercise room. Enormous theater room is framed and ready for wiring. Granite throughout the home. Formal living room. 4 Car Garage. Upgrades throughout the home. Hidden upgrades include lifetime shingles and fiber-optic. Square footage figures are provided as a courtesy estimate only and were obtained from county records. Buyer is advised to obtain an independent measurement." "Love where you live! Come and check out this beautiful 2 story home in the highly desired Canberra subdivision. This home sits on .40 acre in a cul-de-sac with a yard that is so inviting. Large mature pines, 5 fruit trees, tranquil waterfall, large deck with hot tub! Newly renovated custom built home features open kitchen with white cabinetry, double ovens, granite counter tops. Open spacious feel with vaulted ceilings. Elegant entry with baby grand piano and adjoining formal dining is ideal for entertaining family and friends. 6 bedrooms 3.5 baths. Stunning master suite with fireplace. Gorgeous newly renovated master bath you must see! Plantation shutters throughout. Fully finished basement has a work out space, family room with pool table. Separate entrance would make a perfect mother-in-law suite. This home features a 20KVC generator that will power the home in case of power outage. Recently installed hospital grade air filtration/purify system. Zoned heat and A/C. 3 car garage with full length storage above with pull down ladder for access. New Roof installed 2017 This home has so many amazing features you need to come and see for yourself. Call today for a private showing. " 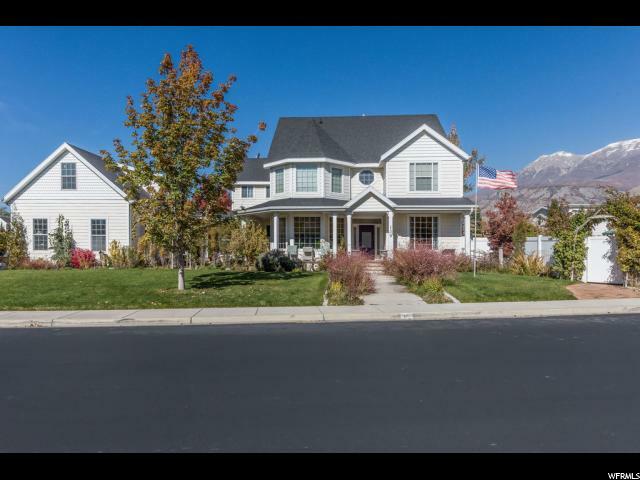 "Spacious home on east bench in Lindon with amazing views of Utah County. Solar panels are included, saving hundreds monthly. Accessory apartment and everything you would want in a luxury home! " "Seller Motivated!!! Kitchen has been completely updated with Granite Countertops and Brand New LG Stainless Appliances this year. 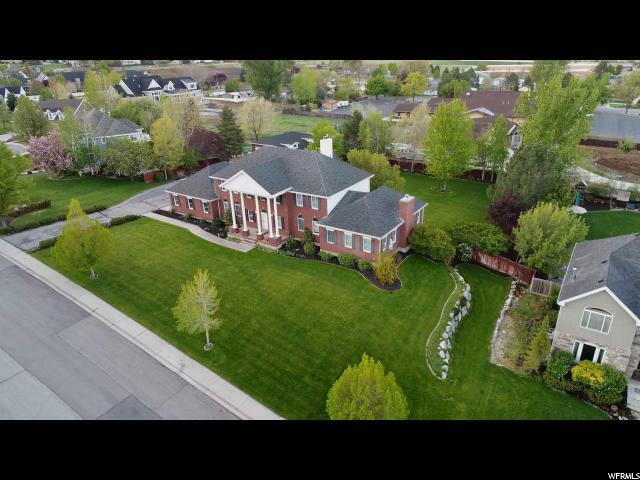 This home is in a prestigious neighborhood of Lindon surrounded my other multi-million dollar homes. Mature trees that surround the entire backyard for privacy. This home is everything you would want in your ideal home like a wrap-around front porch, surround sound, newer hardwood floors everywhere, newer paint throughout, newer hardware, etc. Built for entertaining friends and family, this home has a spacious open-floor concept. A very large gourmet kitchen that is still current with white cabinets. The kitchen has lots of cabinets and countertop space, double convection oven, large walk-in pantry and gas-cook top range. The master bedroom suite has a large his and hers walk-in closets. The master bathroom has double sinks with a separate tub and a large shower that has several shower heads. Oak and Hickory Hardwood Floors cover most of the main floor, stairs and second story along with customized tile in Mudroom/Laundry Room. Stunning windows throughout with a large patio and a fire pit with a pergola that over looks the 1/2 acre yard that is spectacular with a large custom-built shed for all your tools. Many fruit trees, massive vegetable garden, small pond with a second patio near by. 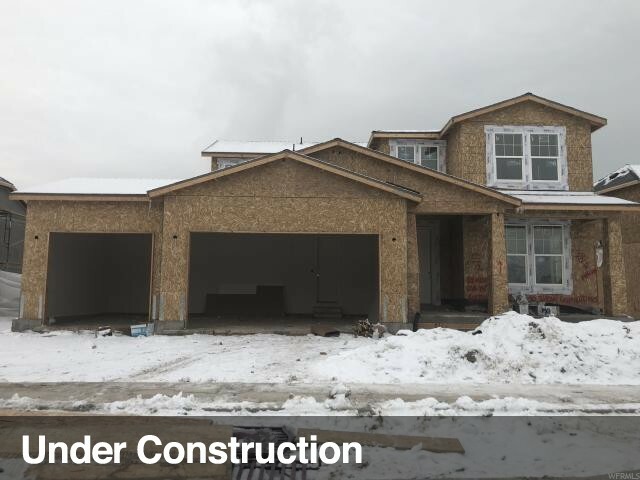 The basement has a walk-out entrance along with 2 bedrooms and a full bathroom and is ready for a family room with a 2nd kitchen if you would like. The 3 car garage is heated with built-in storage. Inside the garage will lead you to the massive guest house above that has a 3/4 bath and plenty of room to build a kitchen along with it's own furnace and AC unit. You would not be able to build this house for the same price in this market. Square footage figures are provided as a courtesy estimate only and were obtained from county records. Buyer is advised to obtain an independent measurement." 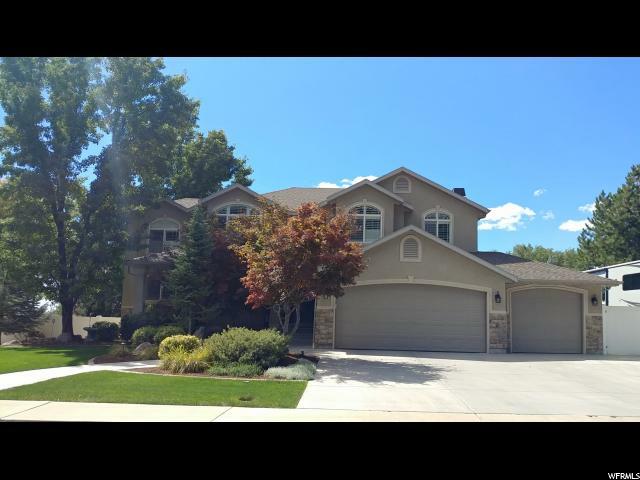 "Beautiful custom rambler with open floor plan; great for family gatherings. West-facing home for quick snow melt in winter; shade in summer to enjoy back deck. Gourmet kitchen with granite counters, large island, stainless appliances, double wall ovens, oversize pantry. Craftsman cabinetry/finish work, basement kitchenette, 3 furnaces, 2 ac units, 2 50-gal water heaters, central vac. 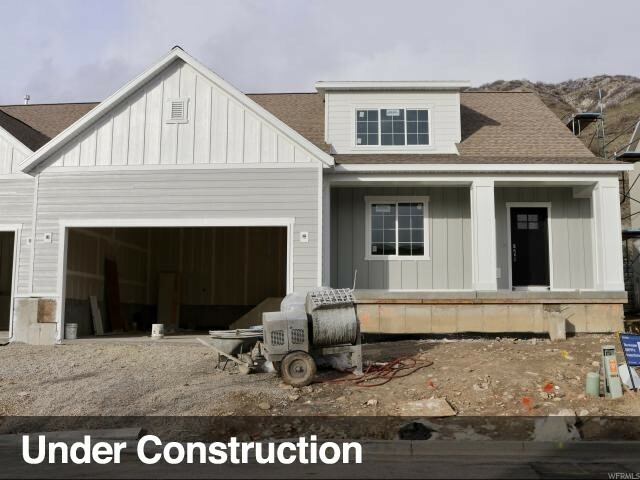 1,070 sq ft garage w/ workbench, sink, cabinetry, painted floors, oversize doors. RV pad w/ custom carport. Square footage figures are provided as a courtesy estimate only. Buyer is advised to obtain an independent measurement." "BEAUTIFUL INSIDE AND OUT!! 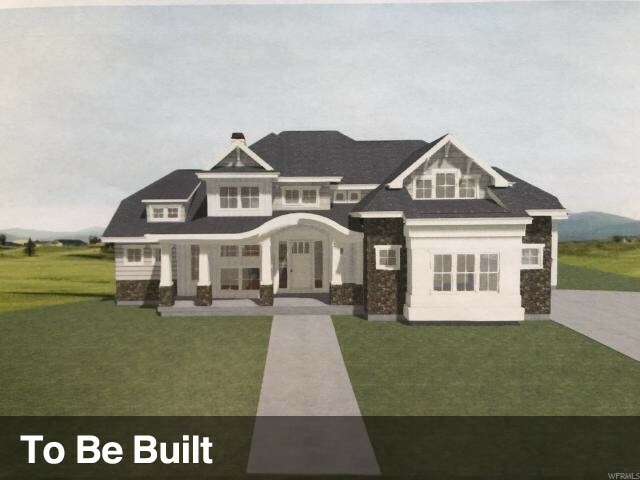 6 bed...4100 sq ft home. In quiet city of Lindon. Completely updated inside. Roomy feel with newly painted light colors throughout. Shiplap decor. Large sitting room in master bedroom, laundry close by. 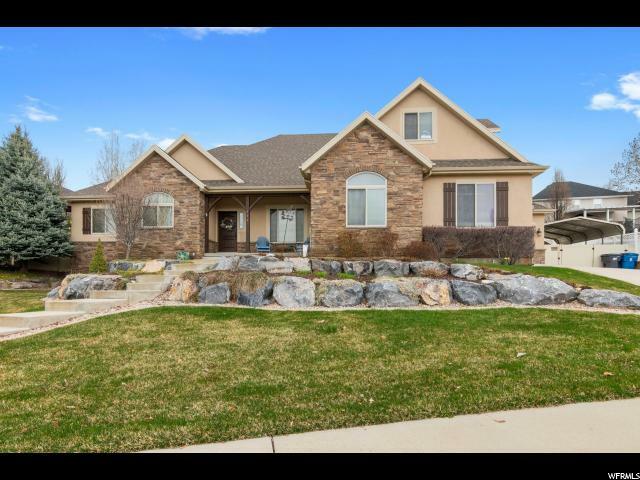 Many extras:Granite countertops, rock archway in kitchen entryway, craft counter/area with lg cabinets for storage, RV parking, professional landscaping, fire pit, pergola, water feature, shed with two lofts, Backyard perfect 4 gatherings & entertaining." 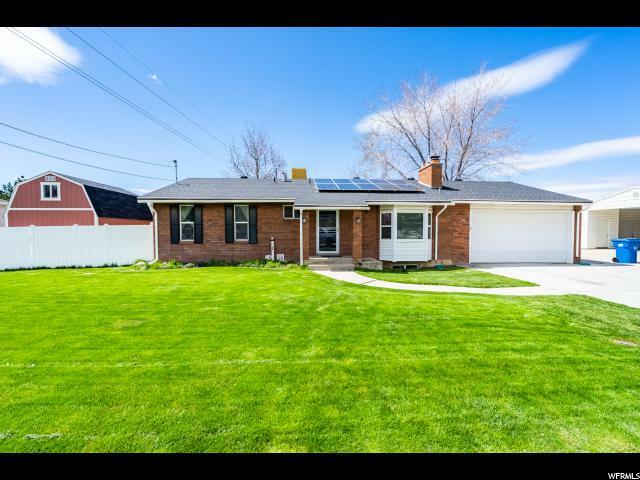 "OPEN HOUSE - Saturday April 20th from 1:00-3:00 p.m. Beautiful Family home in the heart of Lindon in an awesome neighborhood! This home has an open floor plan with a formal living room and formal dining room, big kitchen, dining room and great room, great for entertaining! Kitchen has been beautifully updated with hardwood cabinets, granite counter tops, and hardwood flooring throughout. Kitchen has a huge island with newer Whirlpool appliances that include smooth-top range and refrigerator, and a big walk-in pantry with a place for a freezer. This home has a huge Master suite with Master bath and big walk-in closet. Upstairs there are 6 big bedrooms and 3 full baths. Downstairs has a huge great room with another bedroom and full bathroom and shelved storage rooms. Basement has an outside entrance and would be great for an accessory apartment. 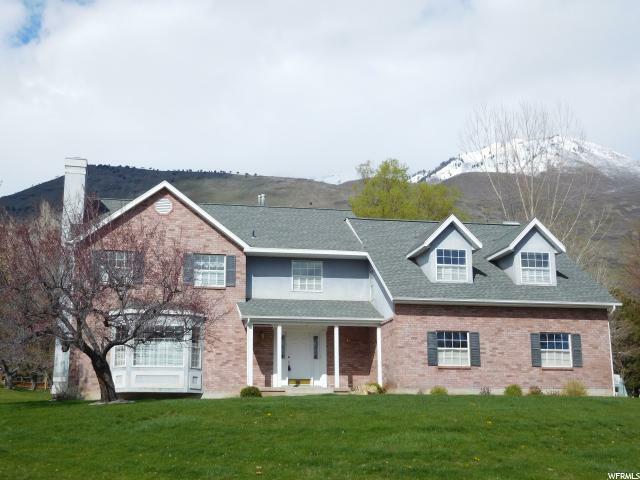 Fully landscaped yard with awesome view of the mountains! Newer roof, about 6 years old with 2 furnaces, 2 air conditioners and 2 water heaters. This is one you won't want to miss!!" "Beautiful, well-maintained home with many updates (listed below). Practically designed and a preppers dream wood burning stove with cooktop and generous wood pile stay with the house. Family room down & upstairs saves wear and tear on home ... and nerves. Upstairs has 3 bedrooms and a spacious den, lots of natural light, and breathtaking mountain views. Plenty of storage in home, garage, and shed. Bonus playroom upstairs. Separate furnace and A/C for each floor. 2 car garage with large shop fully outfitted with cabinets and workspaces, vents to heat, and a second oven. Open yard with grass, mature cherry trees, garden area, and 12x14 shed. If you've waited for an exceptional value---this is it!! Call right now. Updates: 50 gallon water heater (2016), Trane furnaces w/humidifiers & A/C (2016), Dishwasher (2015), Roof (2015), Siding (2012), Vinyl windows (2009). " "Charming Home with Legal Accessory Apartment! A total of 9BR/6BA! 3960 sq ft, .48 acre. 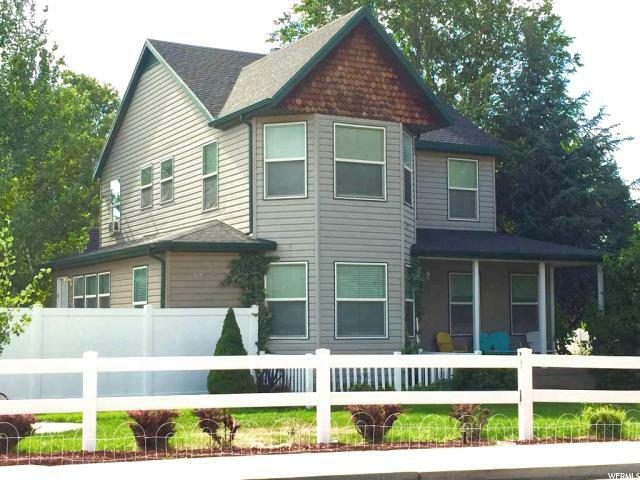 Home is 6BR/4BA & Apartment is 3BR/2BA! 2 car detached garage plus 1 car carport with separate driveways! Chicken coops, vegetable garden, fire pit, picnic area, fruit trees, auto sprinklers & deck! Main home has wonderful living room w/gas fireplace! Huge kitchen & dining w/bay window! Large bar w/sink, solid surface range, above range microwave, large pantry and pendant lighting! Huge laundry room/craft room. Main house has 1 main floor bedroom, 2 basement bedrooms & 3 upstairs bedrooms! Upstairs master suite has bedroom & additional sitting, study or nursery area! Jetted tub in master bath! Delightful apartment with living room, kitchen, bathroom & one bedroom on main floor w/play loft! Kitchen has access to deck & back yard. Apartment has 2 basement bedrooms & 1 bathroom and laundry room downstairs! This home is uniquely charming on a huge lot, just waiting for you and your loved ones. And with a legal accessory apartment, it is also a wonderful investment! " "This 1 Acre parcel is set up for Horse Property, RV Storage, Park like yard, mature trees. Walk out basement with Mother in law apartment. Lots of Storage. Covered Patio that walks out from the main floor kitchen area. A wood burning stove and a gas fireplace. Great location. Schedule a showing. Square footage figures are provided as a courtesy estimate only and were obtained from _____County Records_________ . Buyer is advised to obtain an independent measurement." "End Unit Twin Home Nestled on the East Beach, Breathtaking Valley & Mountain Views! Interior Options include: Vaulted Entry with Stained Hand Rail & Painted Balusters, White Kitchen Cabinets with Hale Navy Island, Quartz Countertops, Tile Backsplash, Gas Range, Stainless Steel Appliances (Fridge Included), Brick Gas Fireplace with Decorative Shiplap, Stained Beams in Family Room, Master Suite features Vaulted Ceiling with Stained Beams, Dual Vanity, Freestanding Tub, Spacious Shower with Bench & European Glass, Walk In Closet, Upstairs Laundry with Hanging Rod, 9 ft Ceilings on Main and Upper Floor, 10 ft Ceilings in Basement, All Landscaping to be Included, Completed in the Next 30 Days! " "Stunning Twin Home Nestled on the East Beach, Breathtaking Valley & Mountain Views! Interior Options include: Vaulted Entry with Rod- Iron Railing with Stained Hand Rail, White Kitchen Cabinets with White Oak Island, Farm Sink, Quartz Countertops, Tile Backsplash, Gas Range, Stainless Steel Appliances (Fridge Included), Custom Gas Fireplace, Stained Beams in Family Room, Master Suite features Vaulted Ceiling with Stained Beams, Dual Vanity, Freestanding Tub, Spacious Shower with Bench & European Glass, Walk In Closet, Upstairs Laundry with Hanging Rod, 9 ft Ceilings on Main and Upper Floor, 10 ft Ceilings in Basement, All Landscaping to be Included, Completed in the Next 30 Days! " "This brick mason dream home includes, new hardwood flooring, 4 fireplaces, including wood burning insert. Trees of peach, almond, walnut, pear, apple, plum, cherry and raspberries, black berries, & animal rights with sheds. 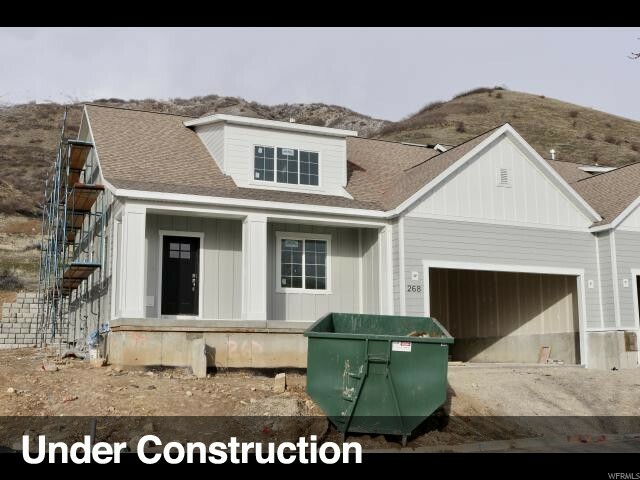 Featured on LindonHomes.com "
"Brand new 2 story home! 2050 Craftsman Collection home in a great Lindon community. This home features it all! 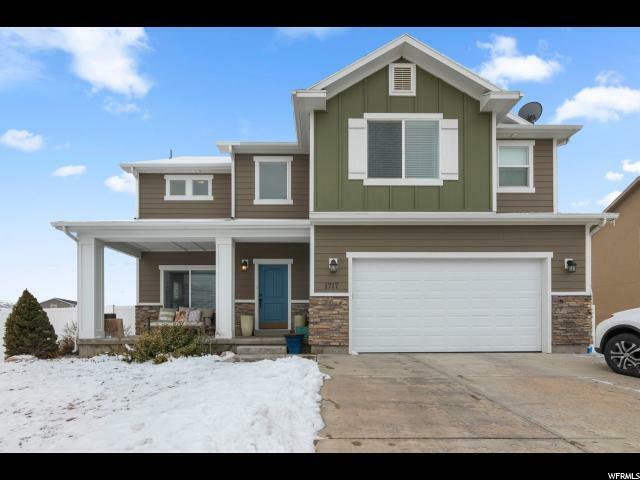 Granite kitchen counters, laminate flooring, 2 tone paint, stainless steel gas appliances 3 car garage, bay window in kitchen nook, can lighting, grand master bathroom with tile surrounds, stylish white cabinets with hardware, large base and casing, 8 foot interior doors and so much more!" "The best location you could ask for!! Close to freeway, shopping, amazing schools, parks, all east of the freeway in Lindon. 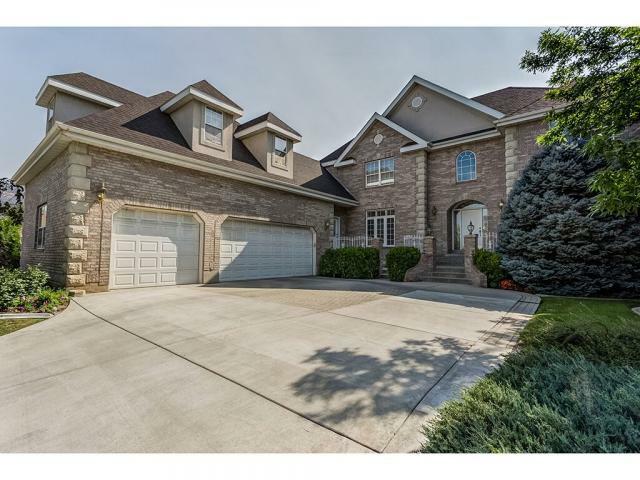 This is a beautiful home with a clean, open floor plan with lots of upgrades. Granite counter tops, stainless steel appliances, fireplace, 9' ceilings, woodwork and more, all bedrooms are above ground and have huge walk in closets. Great, fully fenced and landscaped backyard with a large shed, mature fruit trees & garden boxes, RV pad, and more. Square footage figures are provided as a courtesy estimate only. Buyer is advised to obtain an independent measurement." "Come see this beautiful brand new 1550 Traditional Collection home! Great community! Features include bay windows in kitchen nook and master bedroom providing extra space, stainless steel gas appliances, granite kitchen counters, 2 tone paint, birch cabinets with hardware, grand master bathroom with tile surrounds, laminate flooring, 8 foot interior doors, large base and casing and much more!!!" 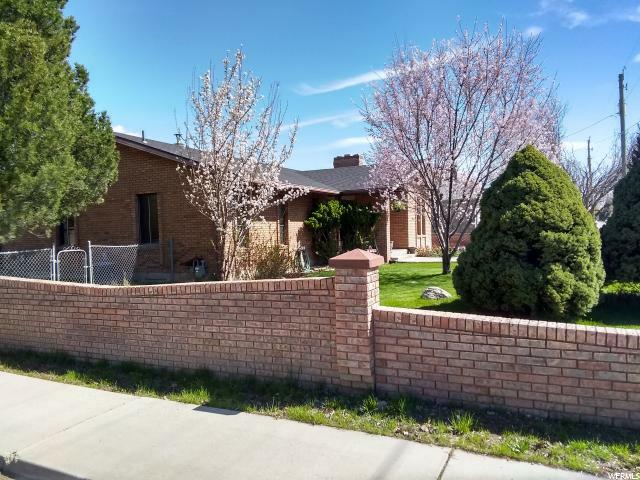 "Nestled in a quiet and very friendly neighborhood, this beautiful property boasts a secluded country feeling yet it is close to city amenities such as schools, shops, and access to the I-15 freeway. The home has been well cared for and been given various updates and improvements that give it a modern and comfortable feeling. Some updates made include new carpet, furnace, and water heater in 2012, and air conditioner, solar, and fireplace in 2016. There is plenty of space for living and entertaining as well as many storage options. The lovely fenced backyard is adorned with raspberry bushes, an apple and apricot tree, and a charming barn. "